I got a wonderful picture yesterday from my friend David Ferrall. We worked together way back when, and we’ve stayed in touch despite his move to New York. 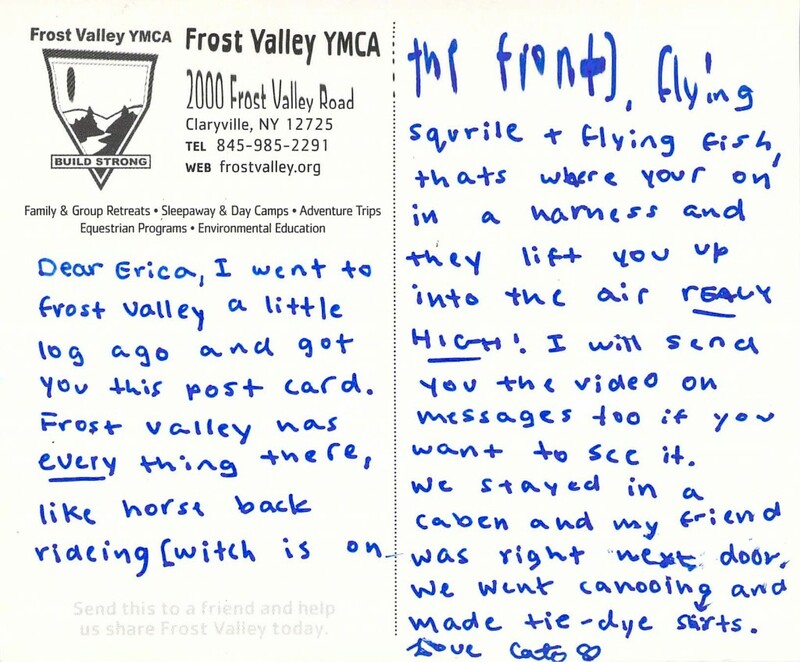 His daughter, Cate, is my penpal — and has been for years. The very first time I met her, I presented some crayons & paper for her to play with when she was here for tea…and I could tell right away she was an artist like her mom, Mylene. Mylene went to Rhode Island School of Design, like my daughter, and I predicted then & there that Cate would follow in her Mommy’s footsteps. 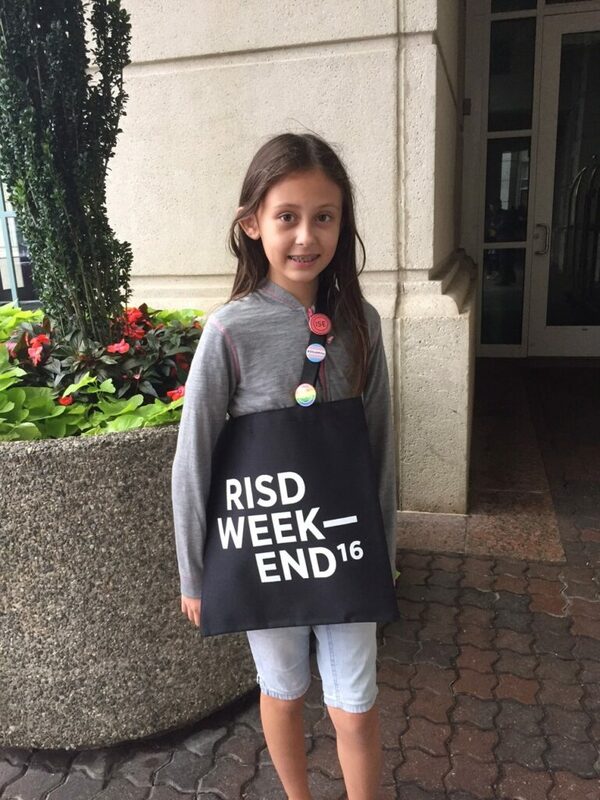 Mylene took her family back to RISD for a Reunion this weekend — and Cate got into the spirit of things! I sent her picture on to the Chairman of the Board at RISD, with my thought she’ll be walking those halls in eight short years.